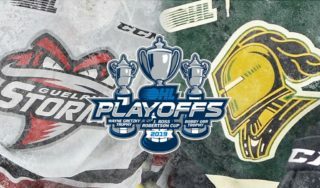 When the London Knights and Windsor Spitfires take the ice on Friday at Budweiser Gardens in Game One of their first round series, it will for be the eleventh time in OHL history. The contest has provided some entertaining hockey over the years, including Taylor Hall’s 2009 Spitfires beating John Tavares’ Knights in 5 games that all went to overtime, as well as 2017’s first round bout that saw London defeat the eventual Memorial Cup winning Spitfires in seven games. What will be reassuring for Knights fans is that they have come out on top of eight of ten of the rivals’ playoff matchups. The Knights and Spitfires are two clubs at opposite stages of development currently. The Knights, who claimed the Wayne Gretzky trophy as the highest finishing team in the Western Conference, prepared themselves to make a deep playoff run, adding veterans Kevin Hancock and Joey Keane prior to the trade deadline. The Spitfires, on the other hand, declared themselves as rebuilding when they shipped out Team Canada goaltender Michael DiPietro to Ottawa for draft picks. 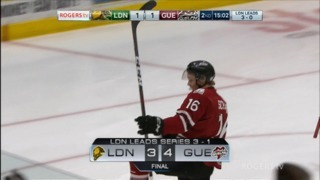 London has depth on all areas of the ice. In net, they can rely on two of the league’s top goaltenders in overager Joseph Raaymakers and Vegas pick Jordan Kooy. Their incredibly mobile defense is led by captain Evan Bouchard and Adam Boqvist, who is enjoying an excellent first season in North America. 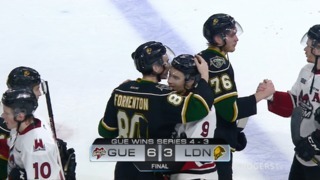 Finally, they possess four lines capable of producing offense, headlined by Team Canada forward Alex Formenton, 100 point man Kevin Hancock and 36 goal-scorer Liam Foudy. Windsor, while in transition, still poses some threats. Top scorer Cole Purboo, captain Luke Boka and defenseman Connor Corcoran all remain from the 2017 team that won a Memorial Cup. Liam’s brother Jean-Luc Foudy led all rookies in assists (41) and played well alongside fellow 2018 OHL first round selection Will Cuylle. Also of note is 6’9”, 250 pound Curtis Douglas, the biggest player in the league. The disparity between the two teams is evident on both their rosters and in their statistics. London currently boasts eight players selected in the NHL Entry Draft, compared to Windsor’s two. The Knights finished the campaign with the league’s best penalty kill (85.8%) and the least goals against in the Western Conference (211). This season, the Knights have had little trouble when playing Windsor, with their only loss against the Spits a 2-0 shutout when Team Canada goaltender Michael DiPietro was still in town. 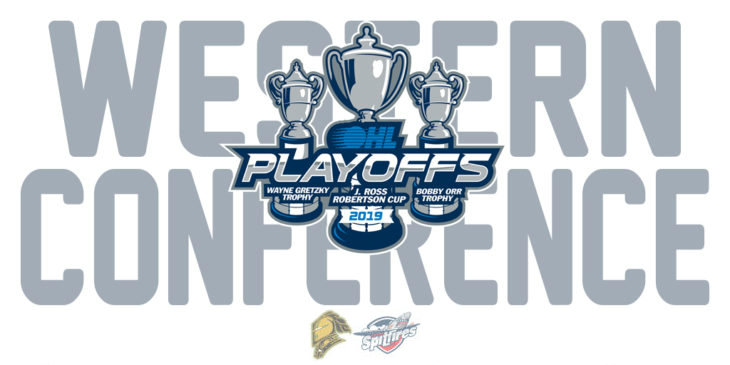 It is anticipated that the Knights high-scoring offense and solidity on the back-end will prove too much for an inexperienced Spitfires team, but nothing is unexpected in playoff hockey. 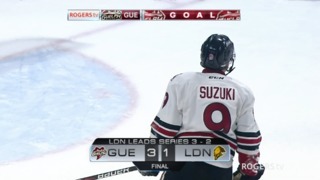 With a classic rivalry being reignited by two brothers facing off, what is expected is another excellent series between two of the Ontario Hockey League’s most storied franchises.